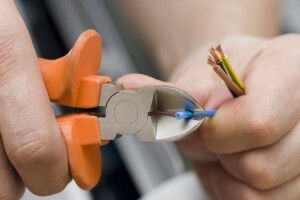 R&B Sims Electrical Contractors is family run Surrey electricians business that has been running for almost 60 years. Established in 1957, R&B Sims Electrical Contractors have an outstanding reputation for quality electrical services throughout the South West London area, with an ever increasing number of happy customers. The business was founded by Robert and Bryon together in 1957. Since then, two more generations have been trained and joined the team, inheriting the rich skillset and experience, allowing the business to continue providing outstanding quality electrical works to commercial, domestic and industrial customers. We are highly respected throughout South West London and the M25 area, renowned for our honesty, transparent pricing, high service standards and exceptional quality electrical works. 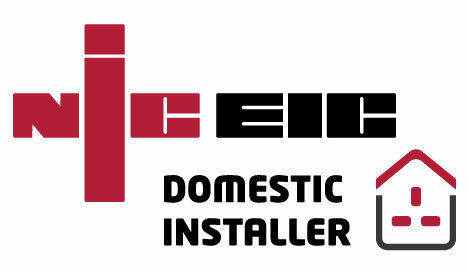 R&B Sims are accredited with the NICEIC and ECA, with the current company director also the current Chair of the ECA South East branch. We have a strong background in commercial and industrial engineering, providing high quality electrical design and works within commercial and industrial premises. We offer a comprehensive package to customers including cost estimate, design, installation and commissioning, or we are able to offer estimate, design or installation as standalone services for our clients. We also offer testing and certification of all electrical installations. 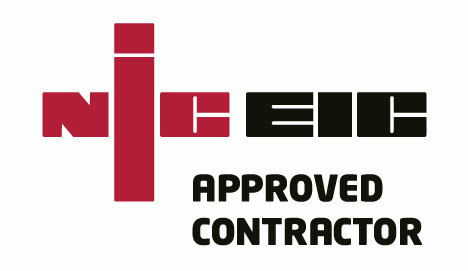 R&B Sims are the electrical contractors of choice because we take great pride in every project that we undertake. Right from the very first contact with our clients to the final stages of installation, we provide the highest levels of service and workmanship, because our reputation is extremely important to us in the local area, having been a family run business for six decades. We listen carefully to our clients and read between the lines to provide exceptional electrical solutions for both domestic and commercial settings, providing lighting and power that meets your every need. From luxury lighting designs and property rewires in residential homes, to intricate an complex phase 3 installations and emergency lighting design in industrial units, R&B Sims continue to exceed expectations with every project. If you wish to discuss your electrical needs with us, to see how we can help, find out more about us or our services or to get a free estimate, please get in touch with our friendly family run electrical team on 01276 488198 and we will be happy to be of assistance to you. Services include fuse board upgrades and fuse board changes, PAT testing, rewires, fault finding, LED lighting installation, lighting design, extra plug sockets, extra light switches, installation of equipment for Smart Homes and more. Just get in touch with us to find out more. If you have a particular project in mind and wish to sound out your ideas, we’re all ears – we will happily talk through your project with you to help you decide the electrical design of your home and offer a complete electrical design service for all clients. © 2019 R & B Sims Electrial Contractors. All Rights Reserved.